You’ve dreamt it, we made it! From October 26th, artFix is opening the café for monthly FREE live performances. For our grand opening, we are proud to announce the Mash n Bangers which stands for Musical Mash-Ups with Banging Tap Dance! Get ready for a mind-blowing combination of music, voice and tap dancing! 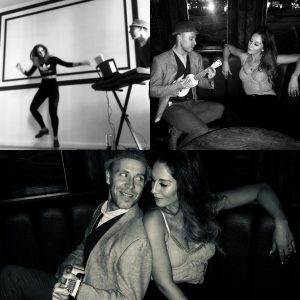 A new live music project from vocalist/muso Jami Reid-Quarrell and Tap Dancer/Choreographer Sara Hamilton mashing-up well-known songs and putting a banging tap dance rhythm track to it. Also some very toe-tapping original songs in the set and opportunities to dance and sing along.